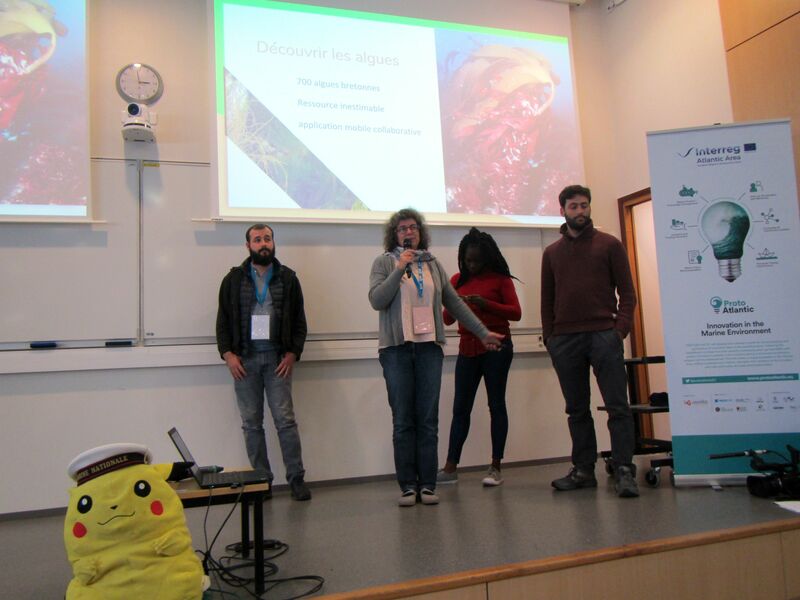 From 5th to 7th October 2018, the Ocean Hackathon took place in Brest, France. During two days, the participants worked on a challenge in teams using maritime data to develop innovative products or solutions. 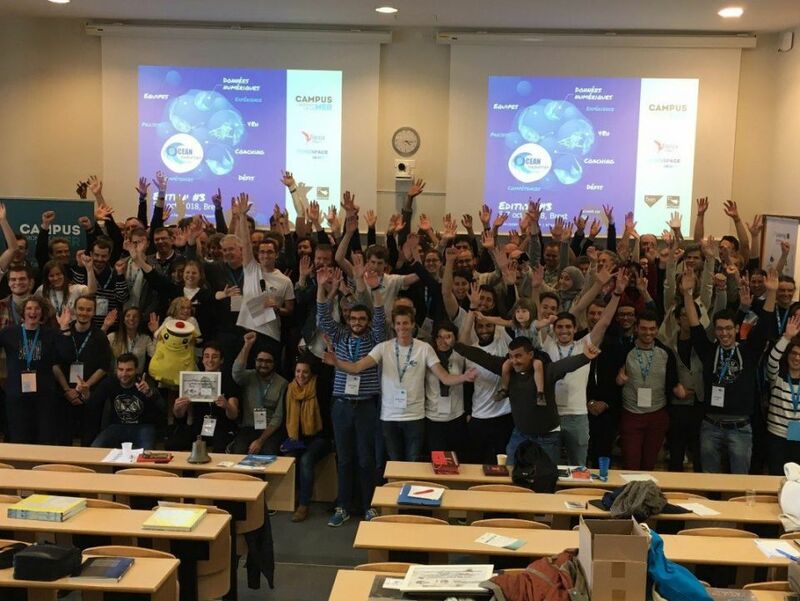 The third edition of the Ocean Hackathon gathered 86 participants working on 12 different projects, such as; applications for navigation to avoid Unidentified Floating Objects (UFLO); a real-time ocean wildflife guide for ferry passengers, and; a hydrophone for kayak or other light crafts. 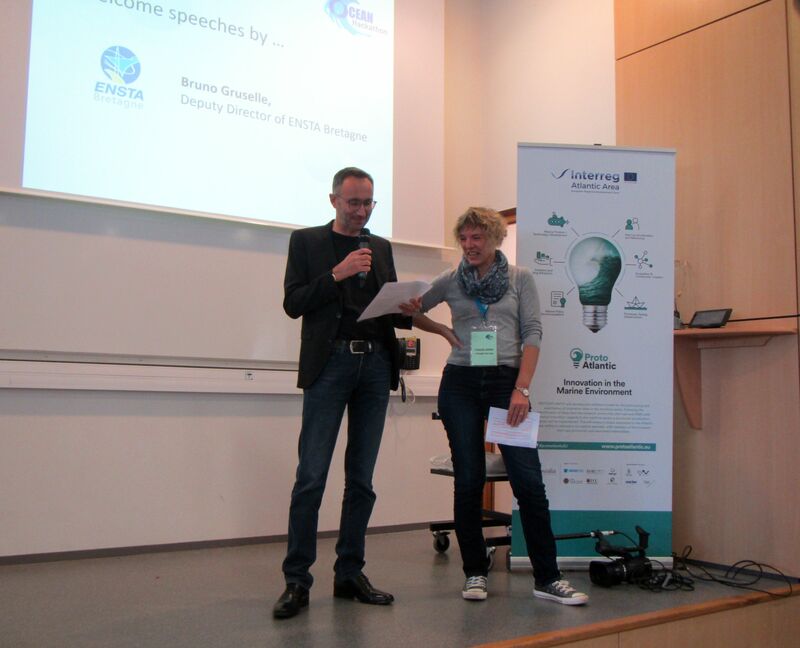 Workshop 1 of the ProtoAtlantic Accelerator Program was part of this event. Erwan Bescond, Business Department Manager at Technopôle Brest-Iroise, delivered a presentation on the Business Model Canvas to the participants at the beginning of the event. The teams then worked on their business model in order to pitch their project at the end of the weekend. The ProtoAtlantic Accelerator Programme, as well as the Prototyping/Testing Phase of the project, were also presented in order to attract potential projects to Phase 1: Boot Camp of the Accelerator Program in The Canaries between 25th and 29th November 2018. Several entrepreneurs/start-ups were identified throughout the Ocean Hackathon, and it is anticipated that these will progress their businesses/products through the ProtoAtlantic project. Entrepreneurs/start-ups interested in applying for the ProtoAtlantic Accelerator Program should apply here.